Today I stopped by Something Special in Kingston for Susan Obaza's artist's reception, "Visions and Dreams". It was great to see Sue again - she's been one of my favorite colored pencil artists since I first saw her work at a CPSA DC115 show in 2003. Her work has appeared in North Light Books Strokes of Genius 2, and she has a mastery for making the texture of Canson Mi-Teintes paper sing with colored pencil. She also organized and led our local life drawing group, which Kiersten and I used to regularly attend. Sue's show, "Vision and Dreams" is very original and quite cool. Each of her pieces is a mix of elements - colored pencil drawing on paper, fabric collage, stained glass and mirrors - each framed in ornate mirror frames. Sue told me she is a hippie at heart, and was going for a hippie vibe. Some of the pieces reminded me a bit of Tarot cards with their surreal figures and linear elements from the stained glass channels, while others were surreal landscapes. Her show runs throughout the month at Something Special. Be sure to check it out! April may bring showers, paving the way for May flowers, but it also is crunch time to meet a series of annual art deadlines. These past two weeks have been a flurry of activity. I just finished my CPSA Silent Auction piece, Citrine Dreams, and I'm working on matting it now. Two weeks ago I had giclee proofs printed of Bend and Crescendo, burned a CD, wrote an artist's statement, and sent it off in the mail to Vera Curnow; this is the 20th anniversary of the Colored Pencil Society of America, and to commemorate, CPSA is creating a book. All signature members were invited to submit two pieces for the book. If all goes well, it will be available during convention week in Santa Clara. Today was the drop off for the Wilkes-Barre Fine Arts Fiesta, an annual local juried art show, and I submitted Opaline Dreams. Coming up on May are two submission deadlines which I took care of this weekend also: The Artist's Magazine 27th Annual Art Competition (May 3) and the book Strokes of Genius 3: The Best of Drawing, Fresh Perspectives (May 1). Last year I was a finalist in the Artist's Magazine competition, with Crescendo, and my name appeared in the December issue. This year I submitted Opaline Dreams. For Strokes of Genius, I went all out (did I mention that I really want to get into this book? ), and submitted Bend, Crescendo, Cascade, Opaline Dreams, and Wrapped. Wrapped was an unusual choice with that grouping, but it looks a little more like something drawn than painted, so I included it in case my other work is too painting-like for the book's requirements. Phew! Just one more project to do now, and it's a very cool one. Last year I did two shows at Paper Kite Gallery. 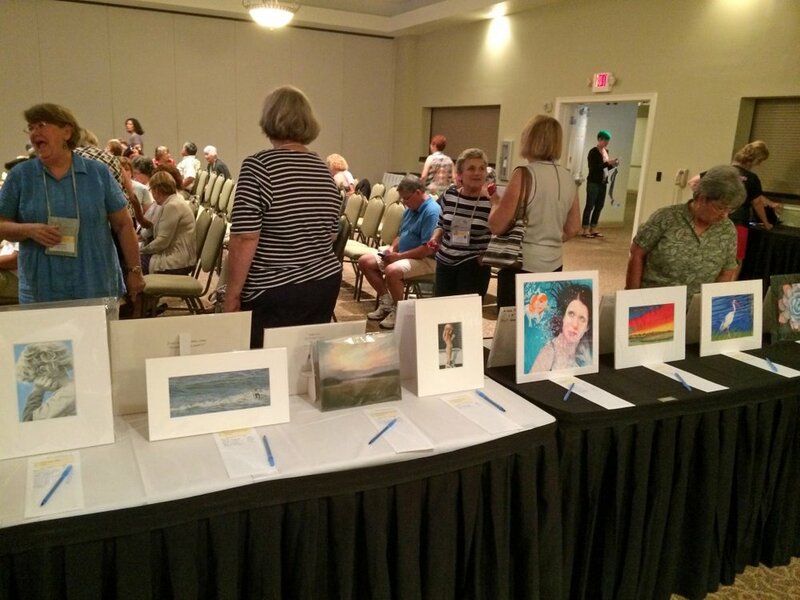 One was the Free Art Show, and those who donated pieces were invited to participate in a July 2010 show. The July show will be a type of tribute show; one of the gallery owners had inherited many drawings when his mother passed away a few years ago. Artists participating in the July show were allowed to take one of the drawings and use it as an inspiration or foundation for their piece. Many of the drawings were charcoal life drawings, and the figurative works appealed to me. I'm really looking forward to it - it's like a design challenge you would get in art school; here are the parameters, now, to be true to the original concept of the artist while creating a work that is also uniquely my own. Well, enough writing for now, time to get back to work! 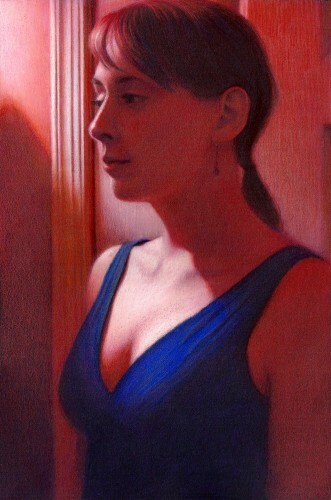 I've submitted Opaline Dreams as my entry for this year's CPSA national show, the 18th Annual International Exhibition. I'll know whether or not it's been accepted at the end of April. The artist's reception for my show is Friday, January 15th, 6 pm - 8 pm at the Paper Kite Gallery, 443 Main Street, Kingston, PA 18704. The show includes about 20 pieces and will run through mid February. Tonight I finished final framing of the pieces to drop off this Sunday for next week's show at Paper Kite Gallery. I always like laying out all the pieces when they're done and seeing how they look together, especially for the ones that were worked as a series. 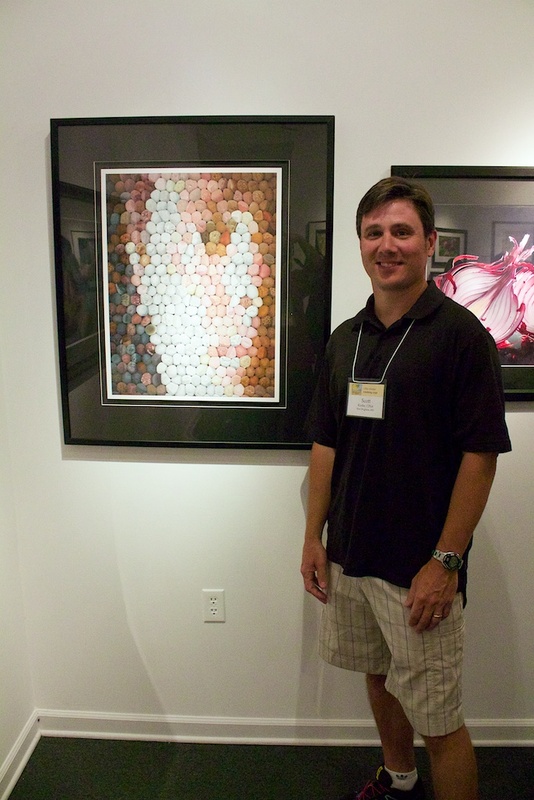 "Bias" was awarded First Place in the Graphics category at the Wyoming Valley Art League's 2008 Fall Member's Show. The show continues through December at the Midtown Gallery in Wilkes-Barrre. I will be exhibiting at the Vgogh Gallery, 281 Wyoming Ave Kingston, PA in a group show, "Point", with photographer Nick Ouellette. Artist's reception is Friday, September 19th from 6 pm - 9 pm. Show runs throughout September.